Launched by multimedia company Mashable in 2010, Social Media Day celebrates social media’s impact on global communication. Friday, June 30th, 2017 marks the eighth-annual official global celebration. WEtech Alliance, a non-profit organization helping accelerate tech-based companies in Windsor-Essex and Chatham-Kent, along with its Social Media Superheroes – a peer-to-peer group of over 30 local social media superheroes that represent a cross-section of our community, including school boards, the media, non-profit organizations and businesses – will once again be celebrating the occasion with their 7th annual Community Chalk Tweet, with this year’s theme centred around Canada 150. WEtech Alliance has partnered with Windsor-Essex municipalities including City of Windsor and Town of Lakeshore, organizations and businesses including Cypher Systems Group, Motor City Community Credit Union and Strong Body Yoga & Fitness and media partners including Windsor Star, AM800 CKLW and CTV Windsor to make this a fun, FREE, community event open to all residence and visitors in Windsor-Essex. 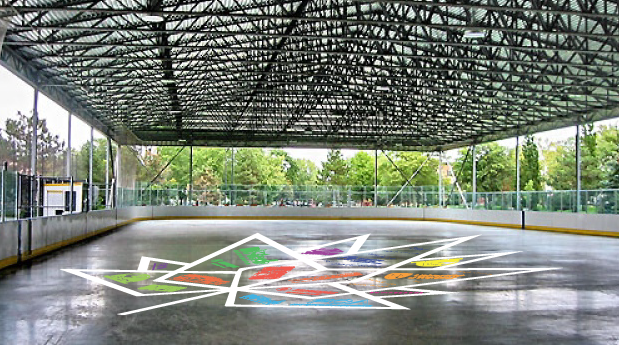 With rain scheduled for Friday, we’ve moved the location to the covered Lanspeary Lions Outdoor Rink at Lanspeary Park – 1250 Langlois Avenue in Windsor from 11am-1:50pm on Friday, June 30th. This location has a roof, so we’re covered, rain or shine! The event will feature a giant outline of the Canada 150 logo painted on the ground by local artist David Derkatz, with the community invited to fill in the outline by using chalk to draw and/or write their favourite things about Canada, Windsor and Essex County. Participants will then be encouraged to snap a picture of their creation and upload it to social media using the official hashtag #SMdayYQG. #YQG and #SMday are also encouraged secondary hashtags. The event will feature a soundtrack of music from local artists; an aerial drone powered by DarkRoast Digital to capture the footage of the artwook being created below; free snacks compliments of The Hub powered by Joint Ventures Unlimited, Blab Media and Parker DKI; a free Canada 150 t-shirt from Hogan’s Printing to the first 150 attendees; a celebration of Canadian Innovation through the CANnovation project and other Canadian themed giveaways compliments of the Windsor Express, Rogues Gallery Comics and Playdium and the Stilt Guys will be on hand to entertain the crowd in a big way. 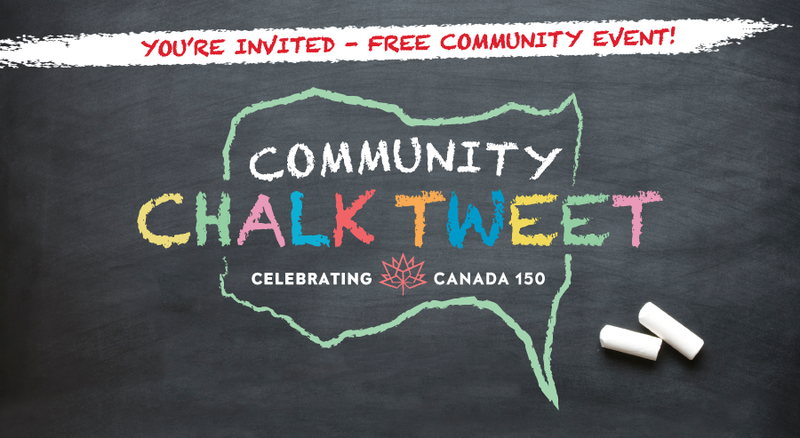 Grab some chalk wherever you are in Windsor-Essex and chalk tweet along with us! Businesses are encouraged to participate at their workplaces. Don’t forget to use #SMdayYQG! Click the image below to download the event poster and help spread the word throughout Windsor-Essex!